Extreame Savings! 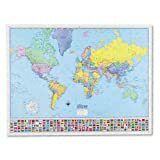 Up to 41% off on Maps at KBFS. 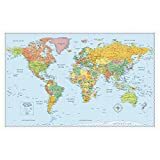 Top brands include Globe Turner, Cool Owl Maps, National Geographic Maps, Rand McNally, Quickstudy, historic pictoric, Advantus, ROUND WORLD PRODUCTS, Maps International, American Map, & Akros. Hurry! Limited time offers. Offers valid only while supplies last.